Where would we be without Top Trumps? First published in 1978, ‘Top Trumps‘ is essentially a compare and contrast one-upmanship card game to outmatch opponents. The concept is a simple one: each pack of cards is based on a theme, e.g. football players, cars, volcanoes, Star Wars, aircraft, Harry Potter characters etc, and each card contains a list of numerical data associated with the item. The aim of the game is to compare these values to try to trump and win an opponent’s card. They have been widely adapted and used in primary and secondary education to make learning ‘more fun’ and they have achieved that aim. The National Children’s Bureau (NCB) carried out some research on the National Schools Top Trumps Tournament and found that Top Trumps helps children improve their basic numeracy and literacy, as well as help them gain and deepen their knowledge on the subject matter covered in the pack. Find out and retain new facts and figures. They have also been used in higher education. At the University of Exeter the COLLABORATE project have developed a set of ‘Top Trumps’ or Tech Trumps cards to help tutors to identify off-the shelf technology ‘winners’ for each area of the assessment process and describe to describe the affordances of digital technologies. There are many variations of Top Trumps and teachers and children have been very creative inventing their own versions. They have been used as a challenge to set children whereby they make their own as they are very familiar with the format and style. So, back to the Top Trumps. Griffith and Burns suggest that we organise children into pairs and then give them a piece of work to read over. Then what we need to do is give them four different pieces of feedback and then decide which example is the most effective in terms of being kind, specific and helpful. To do this we can give pupils a Top Trumps style card and award marks out of ten for each piece of feedback and to colour code the four texts identifying where each of the criteria is shown. There is a section on the Top Trumps underneath Kind, Specific and Helpful for Improvements and this is where children can write their own ideas about how a piece of work can be upgraded. The three protocols of kindness, specificity and helpfulness can be analysed as a class and by doing this activity children get into the habit of providing positive feedback. 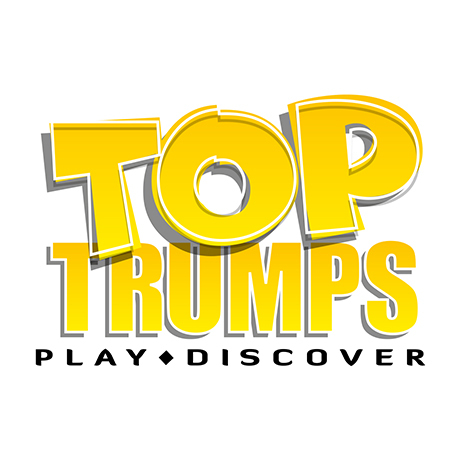 Top Trumps can be used as a tool in a variety of ways across the curriculum so why not access the free app ‘Top Trump it,’ to make your own set of Top Trump Cards. See some examples here. You could even enter your school for the Top Trumps Schools Tournament. Top Trumps can support assessment, help children learn new words, make better decisions and memorise some fun facts. Copyright © 2019 John Dabell. All rights reserved. Powered by Blog at WordPress.com.